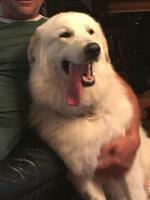 Putting a young female pyr. 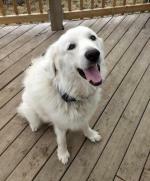 along with an old pyr. 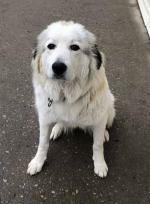 We have a 6 month old female great Pyr. 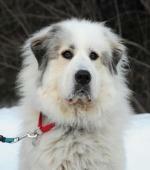 and a 4 yr. old male great Pyr. We are just wondering if it is safe to put them together in the same room? 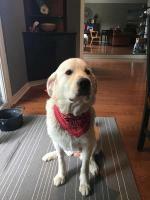 Comments for Putting a young female pyr. 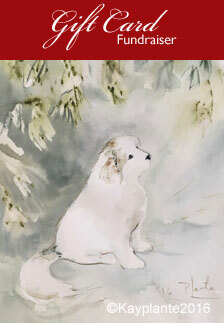 along with an old pyr. More then likely you won't have much of a problem. He won't see her as much of a threat so long as she doesn't challenge his alpfa post in his home. Next you want to make sure she is neutered or she will drive him crazy and pyre puppies are already plennty full in rescues. Last go with supervision until they are happy with each other a big male can do damage faster then you would think. Take your time and they will be best of friends. Been here done this. This should be OK if the male has been neutered. If not, big risk for the pup. In which case you shouldn't have them together in the same room, even if you are present. Males and females usually get along. First, make sure your male is neutered. He is well over the age for neutering. Your female is now ready to be spayed. You do not want any unwanted puppies. The shelters are full of those. People don't do their research and discover they bark, shed and wander. Introduce them on neutral territory. Have a handler for each dog. Each dog walks on either side of handler. You can let them sniff and then keep walking. Let each sniff the others bum but don't allow other dog to be involved. Do not let them focus on each other. If a play bow comes, and the other shows good interest, that is great. You can let them into your securely fenced yard, and see if there is positive reaction to each other. Make sure to take away all toys and food things, including bones. If they look like they want to play, leashes off and let them play. Make sure to stick around to ensure things don't get too intense. If it does, break up the play for a bit. Once things settle, let them play, again. Once in the house, leashes on both dogs while being held. Again, all toys and foods out of the way. Walk around the house with both. Keep an eye on both for any negative reactions. You will have to watch both for awhile until they are used to each other. Never feed the together. Feed them in separate areas so they can enjoy their food without protecting it. To quick to spay is very bad. While we all seem to agree on what needs to be done to vet your two together I would give you a big hold up on the early spaying of your female. She is way to young. Studies done over the past twenty year all confirm early neuter and spay is exstreamly unhealthy for your dogs. I totally believe in both process but only at the right time. Thinking 6 months is the right time to do ether is prehistoric thinking. While the old line about helping with cancer is true it only help with testicale cancer or ovarian cancer because the remove those part it has been proven early spay and neuter contributes to other cancers as well as improper join development, incontance in females, hip displasia and many many other health issues.This is no longer theory it is fact. 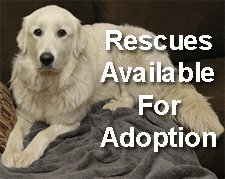 I know rescue people Hate this info ( I have operated our rescue for 6 years and it took time for me to accept this). Sorry I can't abide telling people to early "fix" there dog when I know it could lead to health issues or early death. All we are talking about is responcsble pet ownership, if you are responceable enough to spay or neuter why can't you be as dillagent about keeping her safe from unwanted . The truth is females no earlier then after her first heat and males around 13 to 16 months. If you check no bias sites and our will find this unrisputeable at this point. I know the ASPCA hate this info because they trust no one to be responsible to keep there dogs from mating without surgery but why would anyone who loves dogs push misinformation just to try to take the easy way out. Simply keep your female out of harms way through her first heat then have her spay in a safe way at a better time which is after the first heat but before the second this will get her old enough to be spay at a better time for her body. I know this is not a popular view but it is an honest one and in time people who really care about the true health and well being of animals will not only find a way to accept this truth but find a way to make people understand the true importance of correct dog ownership. I completely agree with your point of view. This is just another very important aspect of responsible pet ownership. However, dogs are acquired all the time by uninformed, too busy, too lazy people. Its easy. Little Susy wants the fluffy puppy. The trouble begins when the natural instincts and need for social interaction surfaces in that fluffy, so cute furball. They have a life force too. People forget that. So its easy to do the little snip (vet says its OK, after all), no more troubles for the humans. But just the beginning of potential health issues for the lifespan of the animal. Pet ownership goes way beyond putting food in the dog bowl and then letting it out into the yard to do its own thing. To properly nurture this life that is in your hands is a huge responsibility and a privilege. Ed is correct. In females, they can also have urinary tract issues when spayed as pups. The issue is, not everyone is careful. I'm not sure early spays lead to early death. 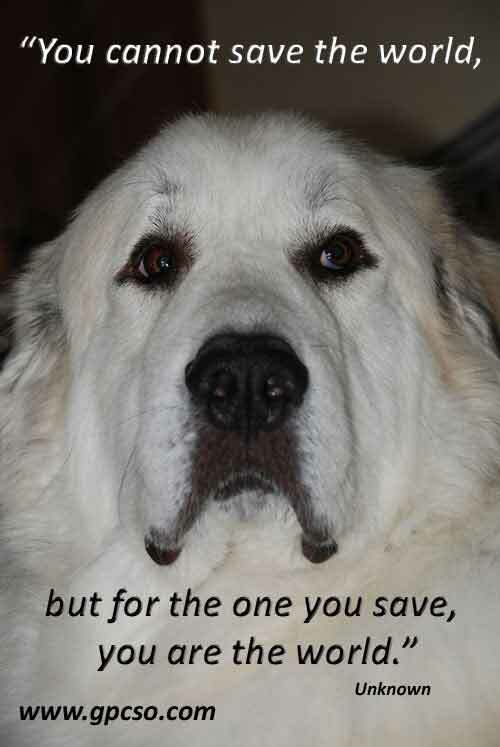 My Pyr was spayed at six months, never had any issues and died at 13.5 years old. It's always best to leave them intact for as long as possible but not to the point where they are too old to be neutered. But, things happen and the next thing you know, there unwanted puppies. Since your male is fine to be neutered, you might consider leaving your female intact for a little longer. Here is some more reading for you.